When Is the Right Time to Purchase a Life Insurance Policy? Life insurance is that one product no one really wants to buy while they are living, but no one really wants to die without having it, either! Even bringing up the topic of life insurance—when to buy it, how much of it to buy, how long to buy it for—can be a touchy subject between loved ones. The truth is, life insurance isn’t easy to talk about! It gets even tougher once it is time to actually pick out a policy and iron out all the details of what, when, and how much. In this post, we take a close look at the number one question most individuals, couples and families today have when it comes to life insurance: When is the right time to purchase a life insurance policy? Certain times in life can bring up the topic of life insurance more naturally. Getting married is one of those life-changing transitions that can prompt discussions about future financial planning. For some couples, and especially those who want to start a family together, this can be a key moment to decide to take out a life insurance policy. The hands-down most popular time people decide to purchase a life insurance policy is with the arrival of their first baby. For most of us, this is the first time in our lives when we have a dependent who totally relies on us for everything they will need in life. Taking out a life insurance policy can feel very reassuring in the sense that while you can’t control what may happen to you tomorrow, but you can control whether your baby will be provided for if the unthinkable occurs. Another popular time to think about taking out a life insurance policy is when you are approaching retirement age. This is the time in life when most people’s minds turn to thoughts of aging, making a will, repaying any outstanding debts, making end-of-life arrangements and leaving something behind for loved ones. There is a big difference between the most popular time to purchase life insurance and the best time to purchase life insurance. Investopedia points out that the best time to take out a life insurance policy is when you are born! If you think about it, this strategy makes sense. You are as young as you will ever get, and presumably healthier than you will ever be again. You have no medical history to complicate approval or hike premium prices. You have your whole life ahead of you to let your policy appreciate (which is especially important if you are buying life insurance as an investment). Of course, you can’t purchase a life insurance policy for yourself when you are born, but it’s a very smart thing for a parent to do for a child. There are two ways to take out life insurance on your child’s behalf. You can purchase a whole life insurance policy in your child’s name and then transfer policy ownership on their 18th birthday. Or you can pay a little bit more on your own term life insurance policy to add coverage for your child. As the Government of Canada points out, life insurance is designed to provide some very specific benefits to loved ones in the event of your passing. The life insurance payout is a tax-free lump sum payment. It can be used to pay for funeral and burial services, pay off debt, take care of dependents and loved ones or be put into an estate or trust. It can also be used to contribute to a charitable cause. But the number one benefit that many people cite as their main motivation for purchasing a life insurance policy is simply peace of mind. As with any major purchase, your main reason for purchasing a life insurance policy will and should inform what type of policy you purchase. There are two main types of policies: term and permanent. There is one basic difference between these two policy types: term life insurance expires and permanent does not. Term life insurance is the simplest type of policy. The main reason to purchase term life insurance is to have some type of protection in place for dependents or to repay debt if you pass during the term of the policy. Permanent life insurance offers two different subtypes: whole and universal. Whole life insurance provides a guarantee that premium costs will not increase during the life of the policyholder along with a guaranteed death benefit payout. Universal life insurance is the most flexible type of life insurance coverage. This policy type offers lots of options for how and when you pay your premiums, how you use accumulated earnings and the amount of the death benefit payout. 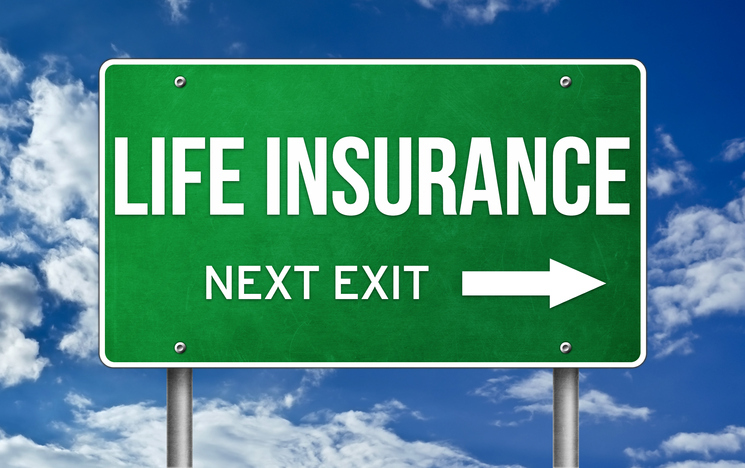 Even from this brief overview, you can see that making the choice to open a life insurance policy can get complicated quickly. You have all kinds of choices and decisions, from when to open your policy to what type of policy to open to how long that policy will remain active. Then you have decisions about how much coverage to take out, what to do with that coverage (especially if you have an investment-type policy) and who to name as your beneficiary. The most important thing to remember here is that there is no one “right” time for everyone to take out a life insurance policy. There is only the time that is right for you. Contact us online or give us a call at 888-853-5552.